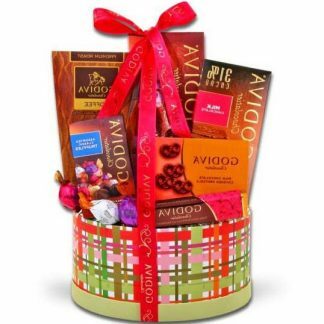 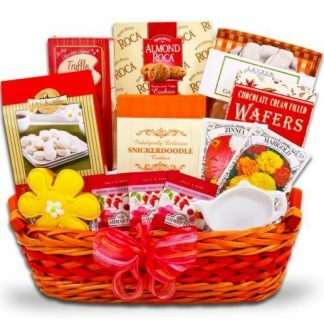 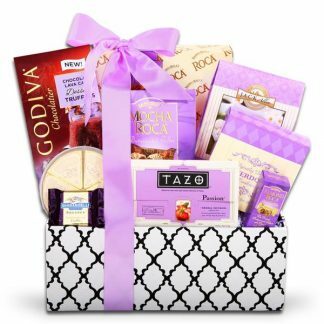 A chic Mother’s Day gift basket any Mom will love! 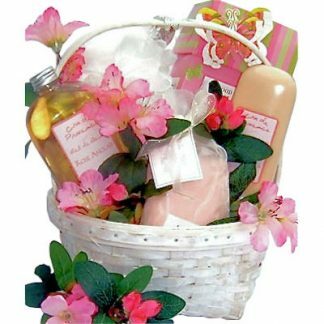 Treat her to this special gift filled with everything from gourmet sweets to relaxing spa products for a special spa night. Black and White Cloth Container filled with Keylime Cookies 2oz, Tazo Passion Tea 2-pack, Almond Roca Candy .41oz, Tom Clarks Caramel Popcorn 3.5oz, Ghirardelli Dark Truffle Tasting Square, Lavender Bath Mitt, Lavender Bath Tea, Lavender Body Lotion 9.1oz, Lavender Shower Gel 12oz, and Bubble Bath 8oz.